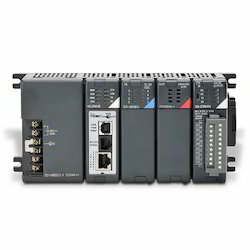 We are a leading Manufacturer of programmable logic controller, micro programmable logic controller, electronic programmable logic controller, programmable relay time switches and digital programmable logic controller from Coimbatore, India. 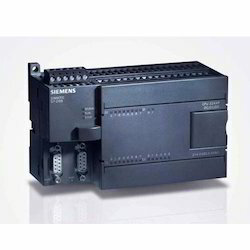 We are one of the leading suppliers of Programmable Logic Controller. As a low-cost solution, we supply panel mount type plc for simple IO operations. 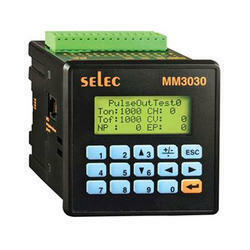 This plc have small HMI display and functional keys. 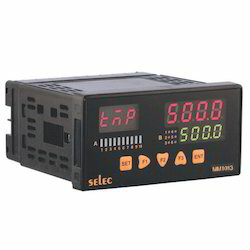 Supports Ladder Logic programming using the selpro software. 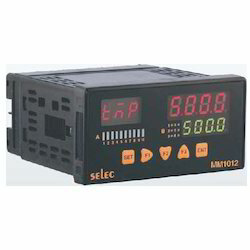 We offer the best quality range of Micro Programmable Logic Controller. 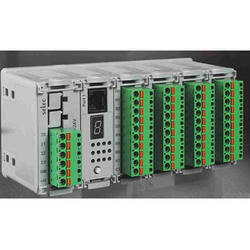 Offered logic controller is available in several specifications to meet the specific needs of our customers. 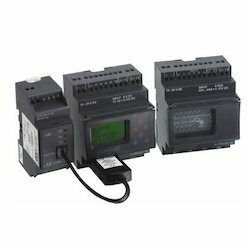 This logic controller is highly used as a source of power backup and supply electrical energy in domestic areas. 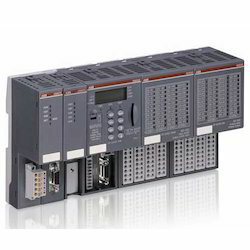 Our dexterous professionals manufacture this programmable logic controller keeping in mind set market standards using high grade raw materials and ultra- modern methodologies. PLC ( 8DI , 5DO , 1 Temperature Input – TC/RTD ). With the vision to set a benchmark in the industry, we have emerged as a preferred name of a wide range of Electronic Programmable Logic Controller. 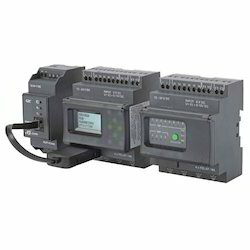 These programmable logic controllers are precisely engineered using quality tested materials and latest technology in strict adherence with the industrial standards. Extensively used for water & wastewater, pharmaceutical, chemical & several other industries, this programmable logic controller is quality tested to ensure its flawlessness. 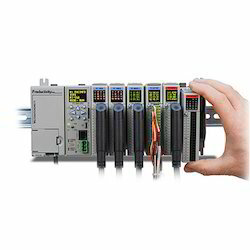 Our company is one of the reputed firms in this domain recognized for offering an optimum quality array of Programmable Logic Controller. This is manufactured by a team of deft professionals using cutting edge techniques at our premises. It is used for monitoring the automatic electronic appliances present at various places like college, school, office, institute etc. 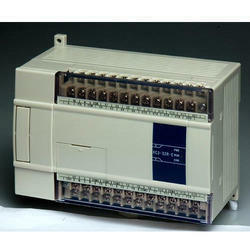 Besides, this logic controller can be purchased from us at reasonable price. 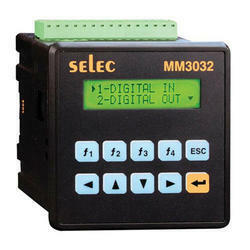 This PLC has small HMI display and functional keys. 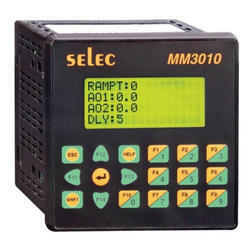 We are Dealing in Programmable Relay Time Switches. 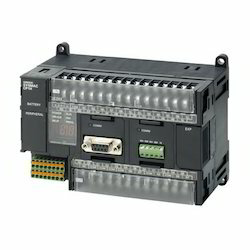 PLC ( 6DI , 4DO , 2 AI(Uni) , 1AO-0-10V). To our immense knowledge in this domain, we are counted amongst the most profound name of Digital Programmable Logic Controller. Our experienced personnel team uses the best quality materials and components, sourced from the most reliable vendors to manufacture the controllers. 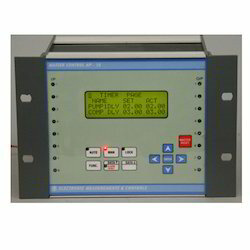 These controllers are used for electromechanical automation processes. 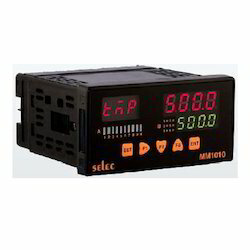 To provide a flawless range, we check the PLC controllers on functioning and durability parameters. We are Dealing in Programmable Logic Controller.